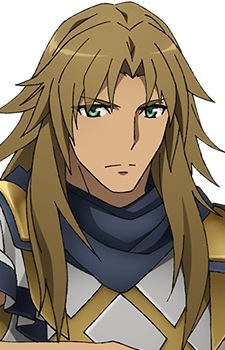 Archer of "Black" is the Archer-class Servant of Fiore Forvedge Yggdmillennia of the Black Faction in the Great Holy Grail War of Fate/Apocrypha. Archer is noble and caring, he is well mannered and treats everyone with courtesy. In his lifetime, he taught many heroes, and within the black faction, he is well respected by his peers for his wisdom and advice due to his honest and upright character. Archer is Chiron, a centaur, half man and half horse, who was known as a great sage among his kind in Greek mythology. He is the son of the Titan Cronus, patron of the harvest and the earth, and the deity Philyra, making him a Divine Spirit that would not normally qualify for the status of Heroic Spirit.